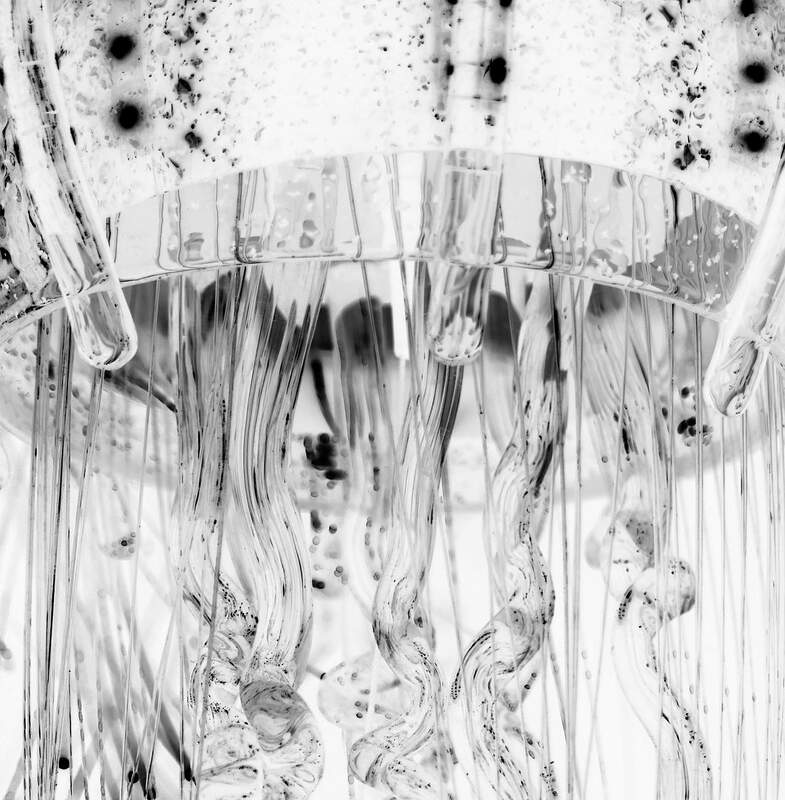 Inspired by the form and fluidity of sea creatures that use bioluminescence in their chameleonic display. 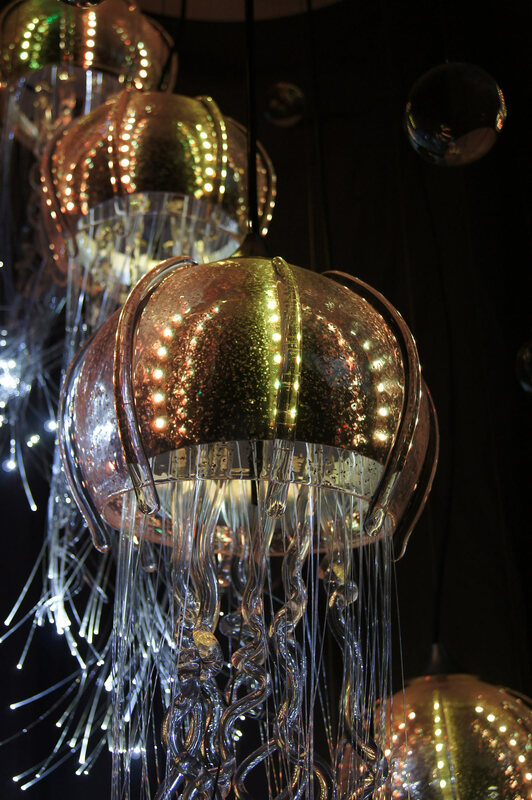 The iconic form of jellyfish when mixed with glass, mirrored acrylic, mica and light comes together to create a stunning and dynamic lit sculpture. A truly sculptural work of art is transformed into a dynamic installation using cutting edge integral lighting. We present two ranges of chandeliers and associated interior lighting for the contemporary home interior. We now offer two Jellyfish Designs. 'Medusa' and 'Hydra'. 'Medusa' are the largest and most complex of the two ranges. 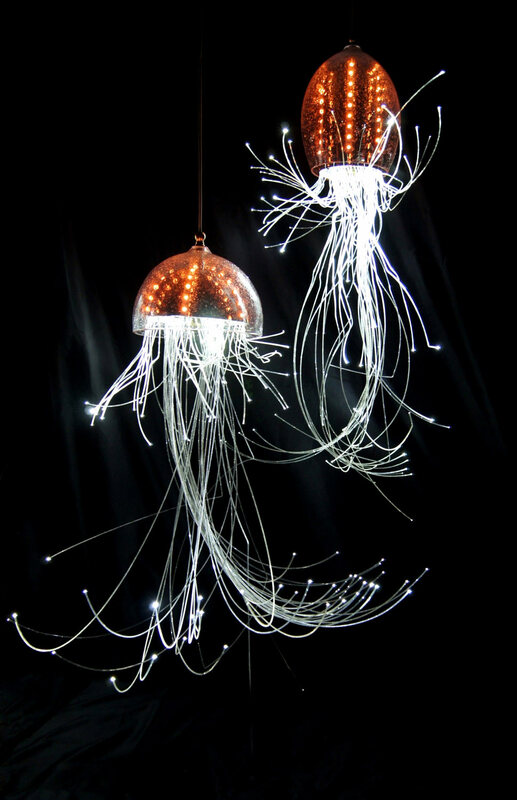 These pendant lights are supplied with two lighting circuits, one that illuminates the main body and glass tentacles with full colour LEDs and a second to illuminate the fibre optics. 'Hydra' are smaller and are offered with a choice of body design and have two sets of thicker fibre optics. For larger installations we sometimes mix the two designs in accordance with the clients' wishes. Two new installs can be seen under the 'Hydra' Jellyfish section. Cutting edge integral lighting installations. Page created in 0.519099 seconds.